“R” Is For Red Ball (165/365 v2.0) – Annoyingly Boring? We get some solid sunset views at my office this time of year. Knowing that today was “R” in my latest A-Z subset of my photo-a-day Project 365 I made sure to have my camera with me at work tonight. The sunset fizzled. 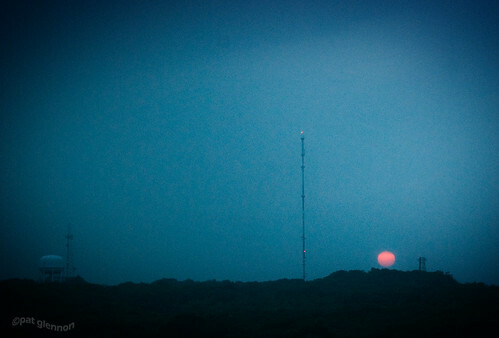 The sky was a hazy, foggy blue and the only red part of the sunset was the sun itself as it raced for the horizon. .-= Russ´s last blog ..Like a Good Neighbor, by Russ =-. You work at sunset? Wow, that’s a looong day!